Devotion to May as the mother of God and mother of the Church has been a consistent dimension of the Christian faith. Yet how does Mary remain relevant in today’s world and to today’s teens? 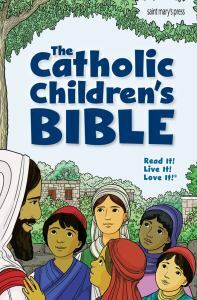 The following is resources are designed to assist you in your important work – dissecting Mary’s role in the Church and the lives of your students. Print in large font and have the children read together. Adding an appropriate picture (or pictures) would to make it more meaningful. This link explains the meaning of the prayer from the Gospel. Images such as the angel coming to Mary are ideal. Create an altar to Mary, with students bringing in seasonal samples from nature to celebrate Mary’s feast days: flowers, candles, bark, river pebbles, leaves, blossoms, gum nuts, feathers. Link Mary’s life and feast days to nature’s cycles and the seasons, especially winter, spring and beginning of summer when Mary’s feast days are most close together. Read the biblical verses aloud. Mary’s Song of Praise (verses 46–56) is known as the Magnificat and it’s a beautiful prayer to God and his goodness. It shows that Mary trusts God and that she is privileged to be chosen to be Jesus’ mother. This reading is for the feast day of The Assumption. That is, the day Mary dies and her body and soul are taken up to heaven from her tomb. She is greatly honoured for saying ‘yes’ to God when asked to be Jesus’ mother. In this prayer, she lists all the things she is grateful to God for. Discuss what each student is grateful for. Write it on the whiteboard and then create a permanent poster size display of their comments. On a large sheet of paper (blue: Mary’s colour) write all the things the students in class are grateful for. The heading: ‘God Has Done Great Things For Us’. Play the Ave Maria song—more recent versions by Michael Buble and Celtic Woman. Allow students to reflect on Mary’s life. Explain the Latin version is the Hail Mary in English and now that ancient language is no longer in use, but was once used in Mass. Through August to December, the Liturgical year contains an array of feast days celebrating Mary’s life, her devotion to God and her importance within the Church. Commemorates the death of Mary and her body AND soul being taken up to heaven from her tomb. Celebrates Mary’s reward for accepting to be the mother of Jesus. Her titles include Queen of Heaven and Queen of Angels. Mary’s birthday. We celebrate Mary’s birth to Jaochim and Ann. Celebrates the name of Mary – Miriam, in the Jewish tradition. Mary was called many other names, such as Queen of peace and Star of the Sea. We recognise Mary for her suffering. The title “Our Lady of Sorrows” refers to Mary’s suffering during the passion and death of Christ. This date celebrates when Mary’s parents dedicated her to God in the Jewish temple when she was 3 years old. Celebrates Mary protecting us and reminds us to pray to her. Commemorates the feast day when Mary was conceived (pure). Make a Happy Birthday Card to Mary (Sept 8). Encourage students to use Mary’s favourite colour: blue. They may like to copy Mary from some of the more popular holy cards e.g. Fatima, Lourdes, Guadalupe. Review the range of artworks devoted to Mary. Research and discuss. Look at art depicting Mary. What are the common features? Compare the orthodox icons (Theotokos) to Renaissance art: how do they differ? Why do different cultures represent Mary in their own individual way? See Latin American, Indigenous, African and Western styles of Mary images. Create a calendar of Marian feasts. Decorate. To Celebrate the Assumption, create a triptych (three panels made from cardboard or art paper). In groups, students create the panels and decorate to illustrate Mary being taken up to heaven by the angels. Use gold paint, cotton balls for clouds, angel pictures, flower petals, crown (halo) of stars around Mary’s head, hearts for love. List the names Mary is known by to highlight her importance as Jesus’ mother, Mother of the Church and our spiritual mother. 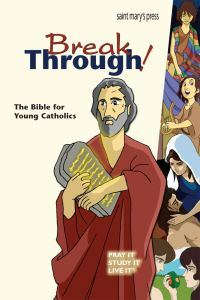 Create a biography or timeline of Mary’s life using the Gospelsand the mysteries of the rosaryas references. Show on the map where she lived and travelled to and from and what is happening there today (link with curriculum about world events/history/social studies). Create a documentary, using mediums such as film or PowerPoint. Mary has appeared on earth many times since her death. In small groups, research places she has appeared and the miracles she has performed there,e.g. Fatima, Lourdes, Africa (more recently). Present the findings to the class. 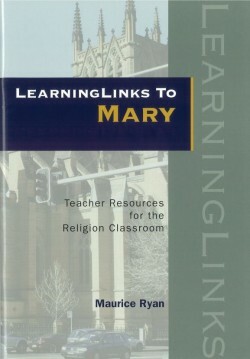 The lesson plan for Mary is available from the button below. © Copyright 2018 Garratt Publishing. All Rights Reserved.